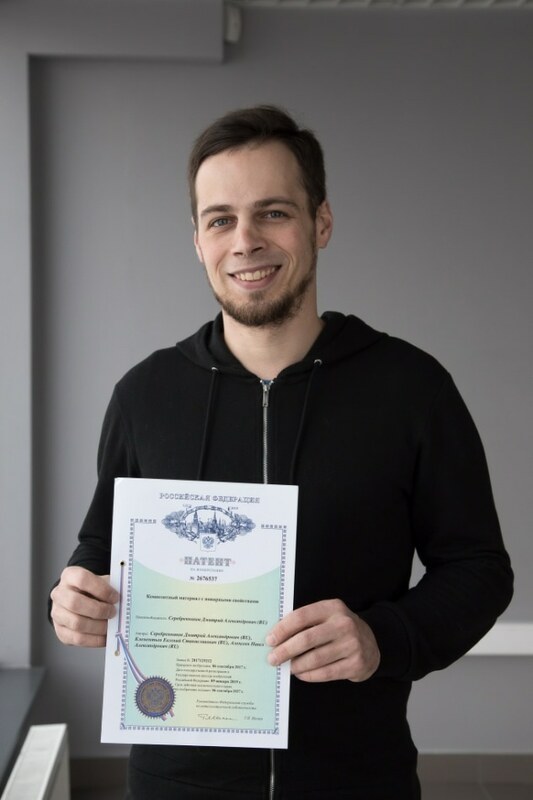 Immanuel Kant Baltic Federal University scientist, Dmitriy Serebrennikov took out a patent on his invention in physics Composite Invar materials of a new type on January 2019. Materials, which contain both Invar and functional properties, are extremely in demand in instrumentation engineering, aviation, radio-electronic equipment, and aerospace sector. The scientist explains that a lot of metals expand upon heating but there are alloys that barely change their size in a specific temperature range. Such an alloy is referred to as Invar. In 1920, Charles Edouard Guillaume, a Swiss-French scientist, was given the Nobel Prize for the Invar invention. Later, it became extensively used for the production of high-precision mechanical watches. Invar, however, does not have other unique physical properties. In the meantime, functional materials mostly possess a very high thermal expansion, which is a major problem for many technical devices. Nevertheless, it is possible to handle the problem by creating an alloy that comprises of functional material and particles of another substance with a considerably lower coefficient of thermal expansion. The patent is exclusive because of the proposed materials that were created to make up for the thermal expansion of the functional material. These compounds were valence-unstable having a negative thermal expansion. In contrast to simple metals, these compounds are compressed when heated. Therefore, they are impeccably suitable for producing composite Invar materials. The study was carried out over a period of four years. It was managed by Dmitriy Serebrennikov, a junior research associate at IKBFU, in partnership with Dr Evgeny Clementyev, Head of the Laboratory for Strongly Correlated Electron Systems at IKBFU, and Dr Pavel Alekseev, a scientist from National Research Nuclear University MEPhI.